Health and safety consultants in Kent advise that working safely when you are in the workplace or on the job site is a personal responsibility for every individual. That being said, there are also a number of health and safety laws in place that affect businesses in Kent and throughout the United Kingdom. Those laws are there as a protection, to ensure that businesses are providing a safe working environment and that problems are kept to a minimum. Depending upon the type of business that is being operated, the health and safety regulations may either be enforced by district councils or they could be enforced by the Health and Safety Executive (HSE). Not only is that true of the type of business that is being operated, it is also true of the location of the business as well. For those who work in Kent businesses, such as, wholesale distribution, warehousing, retail, catering, hotels, leisure industries, consumer industries and offices, the local authorities are typically going to take the lead. The HSE is responsible for the health and safety regulations that take place at various schools and colleges, in factories and building sites, utilities (gas, electricity, water systems, etc. ), fairgrounds, nursing homes, hospitals and local government buildings. When local authorities are responsible for influencing and regulating businesses for the matter of health and safety, they may use a number of different approaches. These might include inspections that would be considered proactive interventions, providing advice or guidance to businesses and reactive interventions. A reactive intervention would typically take place when a complaint arises or in the investigation of an accident associated with a breach of health and safety regulations. Businesses can often benefit from taking a proactive approach to health and safety, regardless of the industry or the size of the operation. In many cases, having a health at work strategy in place can help to reduce problems and keep them at a minimum. Those plans are not only for the specific operations at the workplace, they may also focus on different problems that may be associated with the industry, such as exposure to chemicals, stress and musculoskeletal problems. Something else that businesses can do is to seek legal advice from a professional. This may not only be beneficial prior to the time that the operation is put in place, it may also be necessary when an accident occurs. An individual or business may be liable when an accident occurs if negligence can be proven. Various punishments may exist if an individual is convicted and there can be severe fines levied upon businesses as well. Having legal counsel can help a business in Kent to navigate these difficult waters. 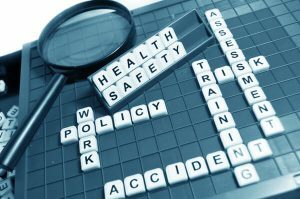 The health and safety law for businesses in Kent is quite extensive and may be covered under a number of different specific regulations. Those regulations may vary from one workplace to another. Getting the necessary help to make the workplace compliant is an important step to take and keeping it compliant is an ongoing process. It is possible, however, when you take a proactive approach to health and safety.